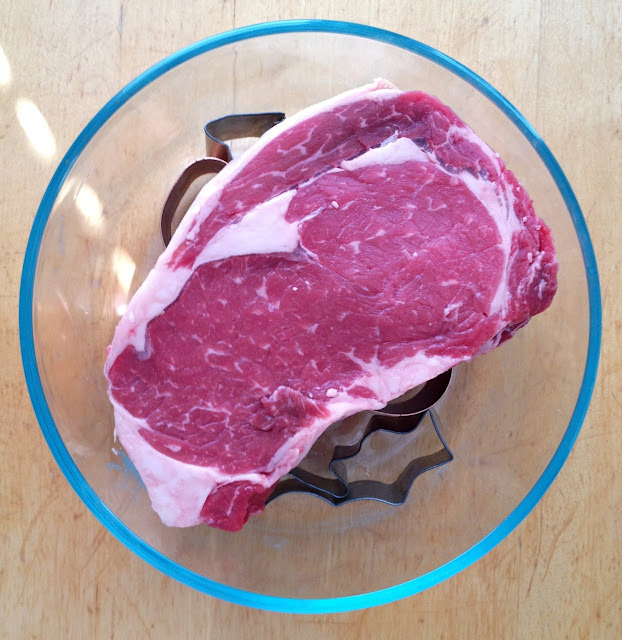 At my house this week we're dry aging a ribeye steak from Falletti Foods per Dottore's orders. The beef is resting on cookie cutters in a Pyrex dish in the refrigerator. I'll post pictures of the progress. I can't wait to taste the results.